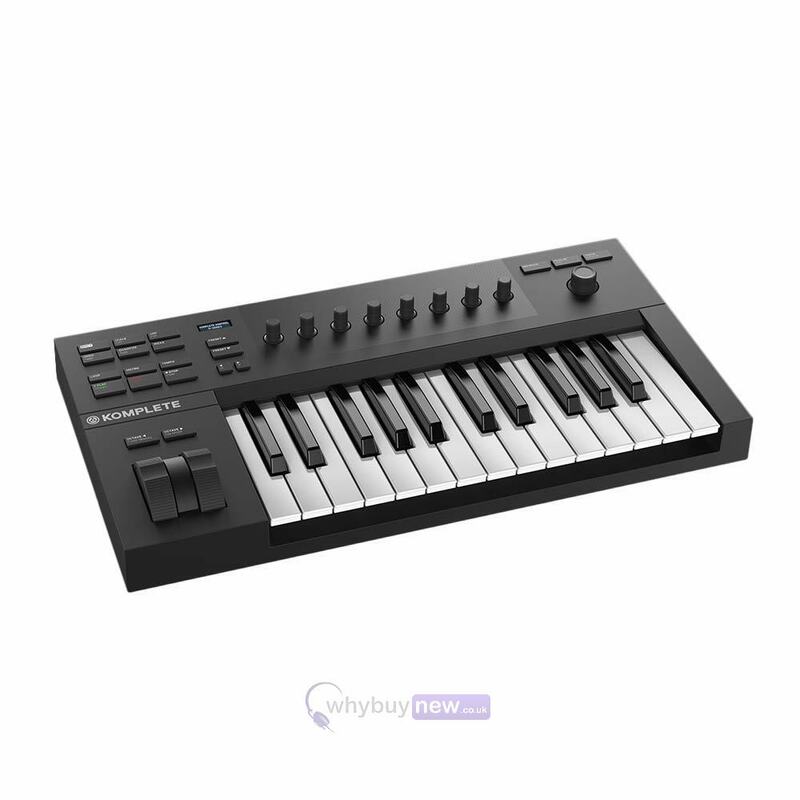 The Native Instruments Komplete Kontrol A25 is the 25 key MIDI keyboard controller from the A-Series range of keyboard controllers. 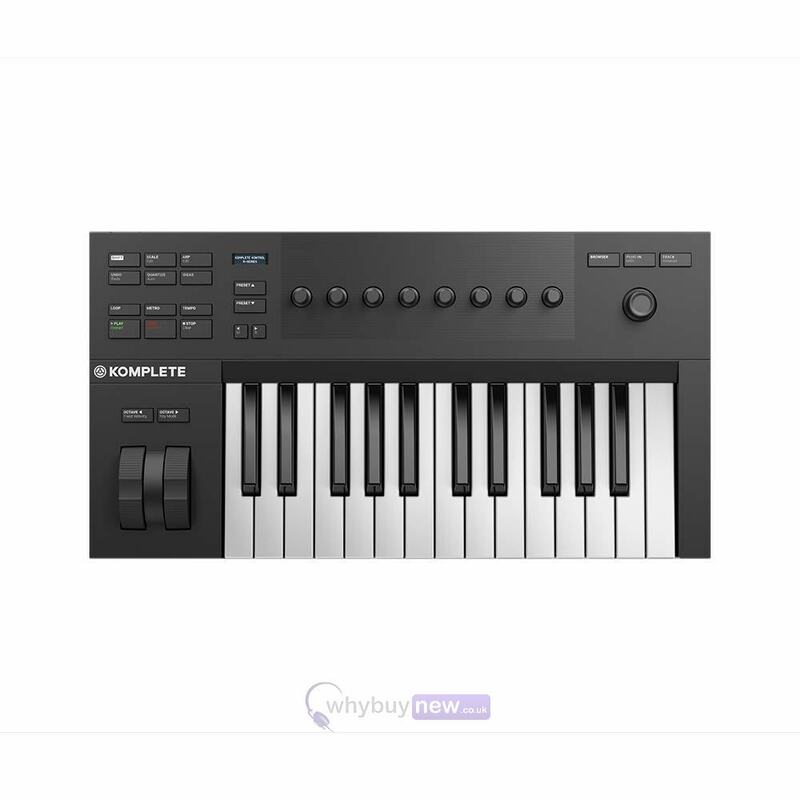 This affordable keyboard is a great entry level piece of hardware for anyone looking to enter the Native Instruments world of music production. 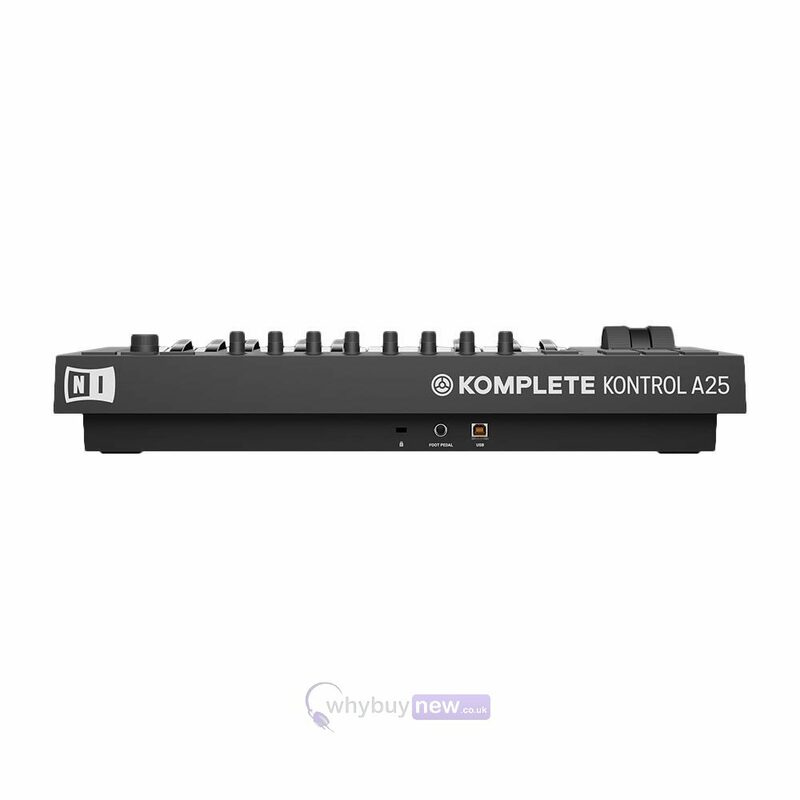 It has semi-weighted keys which gives the keys a realistic feel to them and the Native Instruments Komplete Kontrol A25 can be powered via USB so no need for a separate power supply! This keyboard controller is perfect for any scenario and can be used at the studio or for live applications. 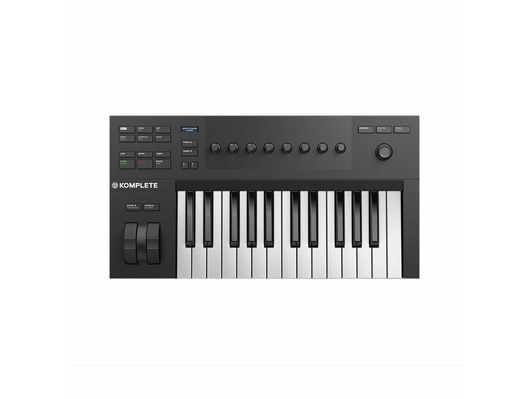 KOMPLETE KONTROL A-Series keyboards integrate perfectly with a range of popular DAWs and come pre-mapped to all KOMPLETE Instruments and Effects, as well as hundreds of NKS plug-ins from over 75 leading manufacturers. Right out the box, the A-Series gives musicians everything they need to start creating, with MASCHINE Essentials included alongside an inspiring collection of pro-grade instruments from NI, including MONARK, THE GENTLEMAN, REAKTOR PRISM, and SCARBEE MARK I. With three sizes to choose from, the A-Series makes an ideal addition to any setup bedroom, studio, or stage. 488 x 257 x 89 mm / 19.2" x 10.1" x 3.5"